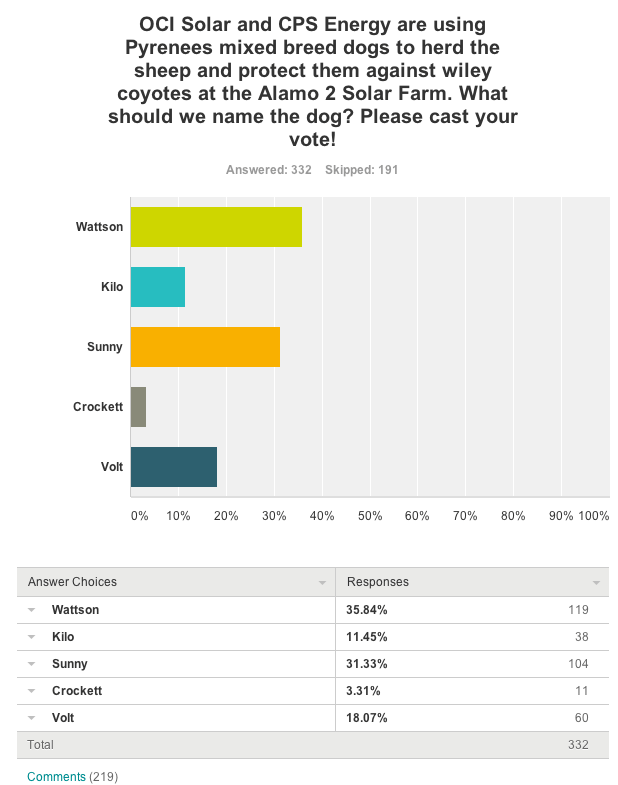 And the winning name in our solar sheepdog poll is… Wattson! Yes, Wattson took the vote with 119 out of 332 votes cast. The next closest contender was Sunny with 104 votes, followed by Volt with 60, Kilo with 38 and Crockett with 11. Congratulations, Wattson! But it’s not all glory and tailwagging for Wattson. Turns out he’s been sent back to sheepdog school because of failing grades in the coyote patrolling department. Wattson’s sheepdog performance left something to be desired. In his short six-day stint at Alamo 2, the 45-acre 4.4 megawatt solar farm run by OCI Solar Power on Binz-Engleman Road, he demonstrated a preference for head pats and people over fending off coyotes. He also jumped into visitors’ cars and followed vehicles every time the gate opened. Apparently this is not unusual in the sheepherding world. the interests of 70,500 farm and ranch families across the United States.Loos also pointed out that dogs guarding sheep are technically called “livestock protection dogs,” not sheepherders. So don’t feel bad, Wattson. 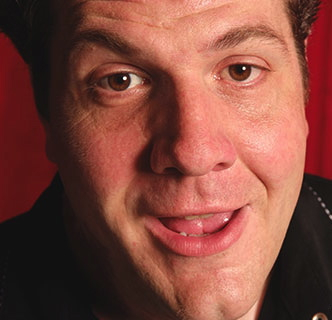 “Lappy” – With that tongue he could lap up a lot of milk in a jiffy. You should spell it “Wattsun”! To everyone who participated, thanks for taking the poll. Monika is a contributor to our newsroom. Superb inftmraoion here, ol’e chap; keep burning the midnight oil.